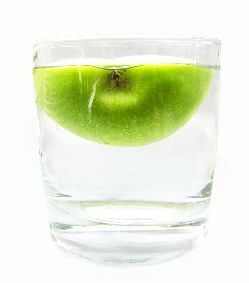 Learning how to lose weight with water is the simplest way to get quick results on a healthy weight loss diet. When we first begin our weight loss journey we are full of motivation and desire. Many times though this disappears quickly. This is normally because the pounds aren’t being shed as fast as we had hoped. At first too you may have been really keen on exercising and are finding it difficult to fit this into your busy schedule. You work all day, come home to kids, dinner and housework, and then feel just too plain tired to workout. You are not alone in feeling like this! It is a habit that should take you about three weeks to develop and will leave you feeling refreshed and more energetic. You may have heard that the best way to lose weight is by taking small steps. Just add one new food or routine into your lifestyle, either once a week or once every two weeks. Remember it took years to put all those pounds on. Why do we expect them to come off so fast? Here You Will Learn Why Water is The One Simple Ingredient to Boost Your Weight Loss Efforts! The one item that can make losing weight much easier for you is to drink water. Now, you may have heard this before. But did you know that it is critical to drink the correct amount of water for your body each day? Plus each of us requires a different amount. Getting adequate water each day is really important, and yet most people are not drinking nearly enough. Do you currently suffer from any of the following on a regular basis? If so, chances are that you are not drinking enough water. There are additional symptoms that are easily recognized as not drinking adequate water. If your urine is a dark yellow color then your body requires more water. When your urine is pale yellow this is a sign of taking in sufficient amounts of water. Your skin will be excessively dry and flaky. Drinking more water will alleviate these conditions. If you feel consistently thirsty, then your body is telling you it wants more water. Being tired all of the time is another side effect of lack of water. Water contains zero calories and can easily become a substitute for high calorie sodas, pops and juices. Switch all your high calorie drinks to water and you will save hundreds of calories each week. As well water helps to clean out all of the toxins from your body, you will feel refreshed and will find that you sleep better. 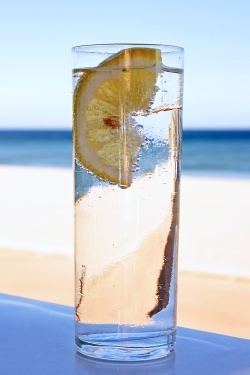 Drinking water each day will act as an appetite suppressant and allows you to feel fuller, longer. Many times when you feel hungry, your body is actually telling you that you are thirsty. Whenever you feel the munchies coming on, try drinking a glass of water first. 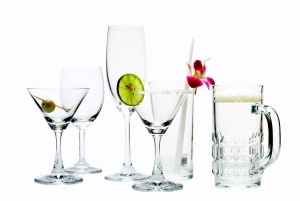 It is recommended that you try to drink at least two big glasses of water approximately 30 minutes before each meal. This allows for plenty of time for the water to settle in your stomach and makes you feel less hungry. By not feeling starved or ravenous you will eat more slowly and actually enjoy your food more. You will also not want to eat as much either. One factor that many people don’t realize about water is its effects on your joints. If you have been experiencing joint problems or suffer from arthritis, your symptoms may become worse because your body is dehydrated. Once you understand how important water is you will want to start drinking more. If water helps eliminates waste and toxins it makes sense to drink plenty so we can remove all the fats and oils that we consume in our foods. It has been said that too many people are living with pounds of waste in their colons. This can easily be removed by upping your water intake. You want to make a point of drinking plain water 90% of the time. This means eliminating all those high fat, sugary drinks. This even includes drinks like milk shakes, apple juice and too much wine or beer. The easiest way to get started drinking water is to buy yourself some large water bottles either 16 or 32 ounces is good. If possible purchase a few of these bottles. You will want to get into the habit of carrying one of these bottles with you at all times. Take one to work, in the car when you go out shopping, have one in the bedroom. Make sure you have easy access to a bottle no matter where you are. Once you have your water bottles handy your next step is to figure out how much water you actually need to drink each day. Remember this amount will decrease as you start to lose weight. 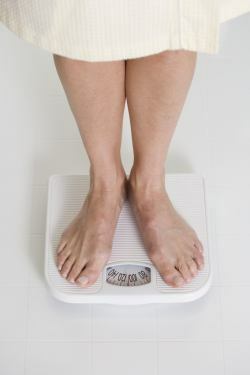 You will need to weigh yourself to see your current weight, and then do the math below. So for example if you currently weigh 150 pounds you will need to consume 75 ounces of water per day. You can then divide this amount by the size of your water bottle, say 16 ounces which will give you 4 and a half bottles per day. No-one is going to expect you to drink that much water the first day. Just start slowly changing one high sugary drink for water. Then each day add more. Another good tip is to sip your water continually throughout the day. Don’t try to drink 8oz at one time. By sipping water you are keeping your body hydrated evenly. Plus you will be surprised by just how much water you will actually be able to drink. Each day concentrate on drinking more water than you did the day before. Work your way up to your limit and then maintain this amount. It may take a week or two until you can comfortably drink your recommended allowance. Once you hit your goal, take a look at how you feel. You are sure to feel healthier, be more alert and should be finding that you sleep better during the night. The biggest thing to remember is that you are developing a new habit. Drink your water each day and carry at least one water bottle with you at all times. The biggest benefit of drinking water is that you will lose excessive weight quickly. It is not uncommon for people to lose at least 5 pounds or more when they first start drinking the correct amount of water. This fast weight loss will be a great boost to your motivation and by continuing to drink water your weight loss efforts will continue. You are allowing your body to function efficiently and not allowing toxins and wastes to build up. The best remedy for a person suffering from frequent headaches is to drink more water. Whenever I feel a headache coming on I immediately drink a glass of tepid room temperature water, and it nearly always nips the headache in the bud before it really sets in. Insufficient water has been shown to be among the leading causes of headaches, so try this simple remedy first. By hydrating your skin correctly, your skin will look healthier and feel less dry. Water can help tired skin look more alive again. Two thirds of your body consists of water, when your brain is hydrated you will find that you can concentrate at work and school better. Drinking enough water will help to raise your metabolism level. This is turn helps you digest your food more effectively. If you suffer from indigestion or constipation then it is time to drink more water. Water actually helps our immune system. If you are constantly coming down with colds and the flu or even suffering from sprains and leg cramps, then water will keep you healthier. Water works to protect our vital organs, our heart, liver and kidneys. If you don’t drink enough water you are forcing these organs to work harder. Your organs will become tired more quickly and so will you. Once you are drinking your daily recommended allowance of water you might find that you are just feeling overall happier. This is because your body is working correctly and it feels happy. You are not struggling to function each day. You may be finding it difficult to drink your daily water, if so we have a few tips which will help you with this. The last tip is especially important if you find yourself getting up during the night to visit the bathroom. By attempting to drink all of your water by 8 p.m. you are giving your body enough time to relieve itself of any excess before going to bed. Remember it will take approximately three weeks before you become accustomed to drinking water daily. If it takes you longer don’t sweat it, just keep up your new routine and before you know it you will automatically be reaching for water. This one simple action each day can really make a huge difference with your weight loss. One additional thought is that water helps move fibre through your body. Fibre is another excellent appetite suppressant and is something that you should consider adding more of to your diet. You can easily add more fibre through foods such as whole grain breads and cereals. Or you might prefer to add one of the many natural fibre supplements which are on the market today. If you decide to go this route, ensure that you maintain your water consumption as these two ingredients together can do wonders for your body health and your weight loss efforts. Don’t forget I would love to hear your weight loss story. Tell me your story or share your tips in the submission bod below and I'll probably publish it right here on a page of its own. Once you have made the decision and begun increasing your daily intake of water, you will have begun the journey to lose weight naturally. From here you just need to continue making small changes and adjustments to your diet. Spend some time looking for new recipes to try out. Next time you are at the grocery store pick up a new fruit or vegetable. Get the help of your family in trying out new dishes for dinner. Allow the kids to choose one meal a week. If it is a high fat version, whip up a lower fat alternative for yourself. Having support and help from your family and friends will go a long way to helping you achieve your goals. They will know when you are having a bad day and can offer support and encouragement to keep you going. If you haven’t exercised yet, ask your spouse to watch the kids so you can get out. If you don’t ask for help it won’t always be forth coming. Maybe your spouse or kids might like to exercise with you, nothing is better than getting the entire family involved in exercise. You will meet roadblocks on your weight loss journey, but you are now better equipped to deal with them. You know that you deserve to look and feel better. You have your reasons for losing weight written down and are saying your affirmations daily. Along with this you are drinking your water and exercising each week. Your results will be your new motivator and it is not just with dropping the pounds. You are probably losing inches as well, and many weeks the inches lost can be far greater than the pounds dropped. Slowly your clothes will begin to feel loser until you get to the point of having to buy new clothes. So if the scales don’t budge each week, don’t get disheartened look back over why you want to lose weight and keep pushing ahead. Weight loss does invariably slow down but you will reach your goals in the end. And please leave a comment below telling me what you think of the information on this page - and give us a FB Like!